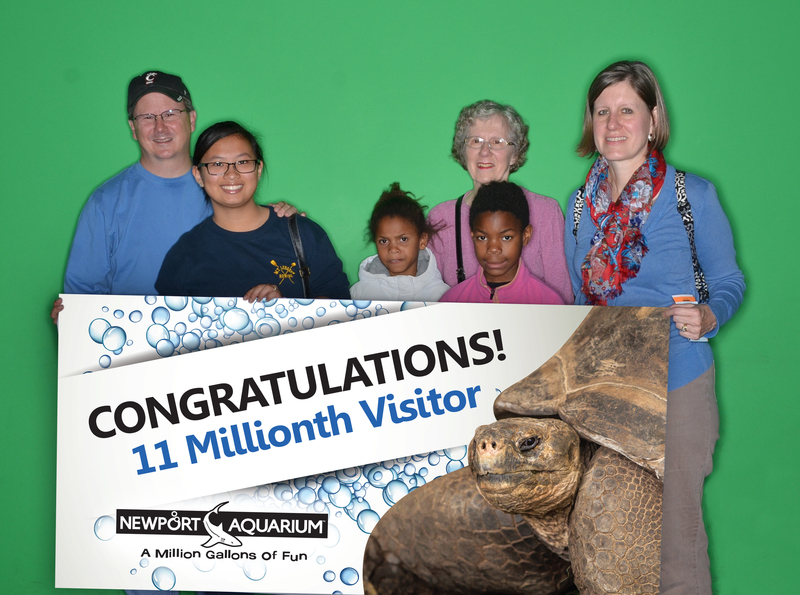 NEWPORT, Ky. – Newport Aquarium celebrated the 11 millionth visitor milestone Monday morning by surprising an unsuspecting family as they entered the aquarium. Newport Aquarium staffers, including Vice President and Executive Director Eric Rose, surprised the Pratt family from of Pittsburgh, Pa., at the bottom of the front escalator with a large 11 millionth visitor banner and a meet and greet with Red Pepper the African penguin. 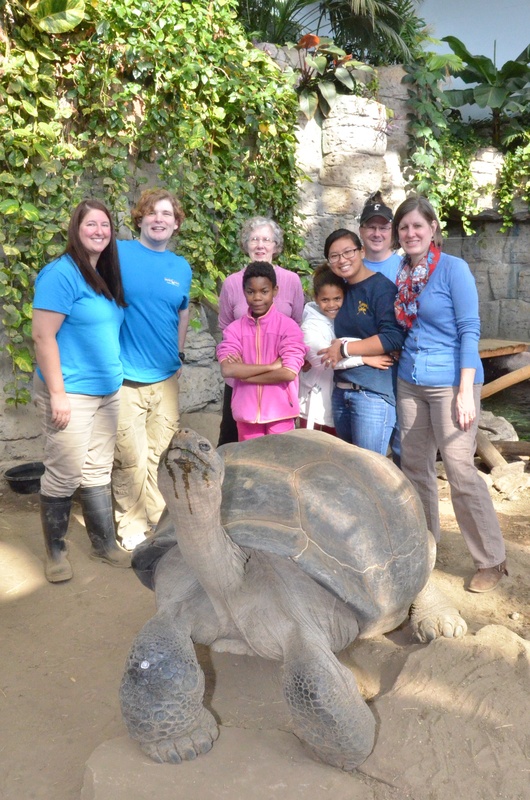 Tom and Marcia Pratt, along with three of their daughters – Caroline, Kate and Bella – and grandmother Edie English of Cuyahoga Falls, Ohio, were given complimentary Annual Passes and taken on an exclusive VIP Bravo Experience, where they met Bravo, the 650-pound Galapagos tortoise at the Turtle Canyon exhibit. The Pratt family was taken on an exclusive VIP Bravo Experience. They were in the tri-state area to visit with a fourth daughter, Maggie, a freshman at the University of Cincinnati who is majoring in special education, and choose to visit Newport Aquarium before driving back home in the afternoon. Today marked the second time the Pratts had visited Newport Aquarium, which celebrated its 15-year anniversary in May. This entry was posted in 11 Million Visitors and tagged 11 million visitors, Bravo, Galapagos tortoise, newport aquarium by NewportAquarium. Bookmark the permalink.